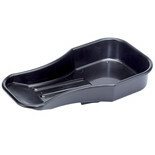 This Lumeter drain pan benefits from a 14L capacity alongside handles & pourer for added ease of use. 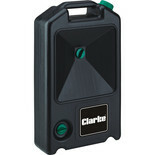 This unit is completed with a reliable build and black finish. 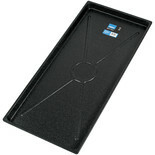 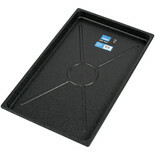 Manufactured from ABS plastic this drip tray is resistant to most chemicals and solvents. 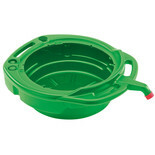 Designed to collect oil or water based fluid this item is ideal for use for vehicles or generators. 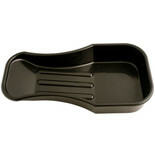 Part of the workshop range. This Oil Drain Pan has a 6 litre capacity and a pouring spout for clean disposal. 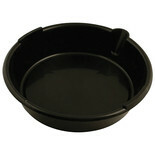 A 2.68 litre oil drain pan, ideal for use with motorcycles. 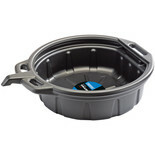 This useful pan prevents oil contamination when servicing. 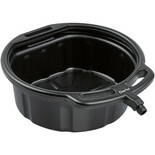 With drain ribs for easy and accurate pouring. 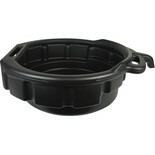 The slimline design allows easy access for use with motorcycles and oil changes for small engines. 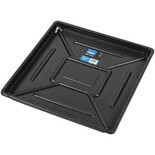 The high density polyethylene construction is resistant to most chemicals and solvents.